Medical students are invited to attend Research Learning Community meetings. Meetings are generally held in 101 Gandhi Auditorium from 5–8 p.m. The Research Learning Community will also be hosting the 10th Annual Medical Student Research Symposium on Wednesday, April 11th from 5-7 pm in White Hall 101, Atrium and 130 ABCDE. 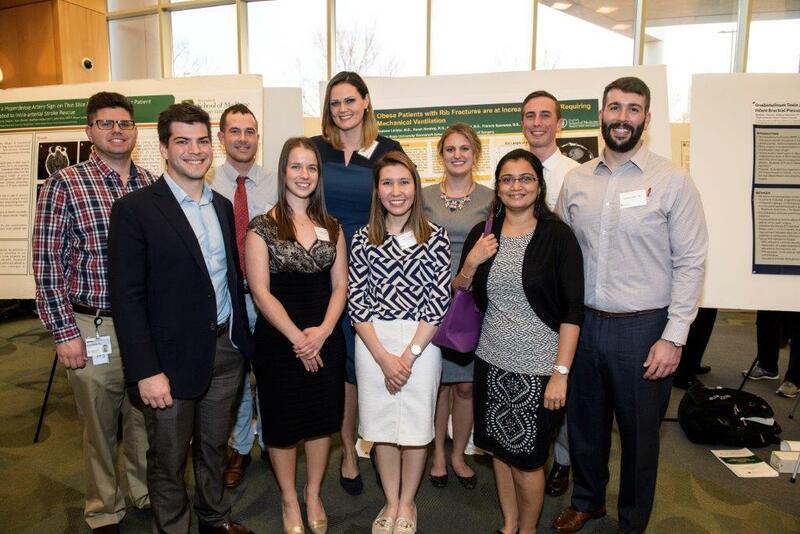 The Research Learning Community is an evolving collaboration among medical students, faculty, and the Office of Medical Education at Wright State University Boonshoft School of Medicine. The RLC promotes research opportunities and seeks to build a supportive learning environment for medical student research. The RLC includes student meetings and advising, and the annual Medical Student Research Symposium. For more information about the RLC, contact Priya Small in the Office of Medical Education, at priya.small@wright.edu or (937) 775-4112. Student leaders include: Philip Walker, walker.423@wright.edu, and Jacob Vincent, vincent.21@wright.edu. Wright State University’s Institutional Review Board (IRB) requires all investigators (including faculty, students and staff) who will be engaged in research with human subjects to complete the Basic Course in the Protection of Human Research Subjects offered online by the Collaborative Institutional Training Initiative (CITI). WSU is a CITI participating institution, and the course is offered free of charge to WSU personnel. WSU requires the renewal of CITI training every three years. Medical students who take SMD 8160 (Scholarship in Medicine) are required to complete identified CITI training courses during this module. Medical students who seek extracurricular research opportunities (e.g. clinical research) are strongly advised to complete CITI training before contacting potential faculty mentors. Read instructions for access to the online CITI course. A variety of websites can help you find information about potential research mentors at Boonshoft School of Medicine. No single site has all the information you may need. Using several of the sites listed on the Finding Faculty Mentors webpage should enable you to identify particular BSOM departments and faculty with research projects in fields that interest you. Find articles, books, drug information, images and more using the University Libraries’ Research Quick Start Guide for Medicine. This portal includes links to databases such as PubMed and the Cochran Library and electronic book sources such as AccessMedicine and ACP Medicine. For more information, contact clinical medicine librarian Bette Sydelko (937-775-3840; bette.sydelko@wright.edu).